The constant focus of Justin Trudeau’s Liberal government on renegotiating the North American Free Trade Agreement with an adversarial United States President Donald Trump has necessarily sucked resources and attention, including the near total focus of Foreign Affairs Minister Chrystia Freeland. Though The Hill Times set out to list the top minds shaping Canada’s foreign policy, those working on relations with the United States emerged as the most important players, with other influencers on the outskirts. Past lists have stacked 80 influencers but we’ve halved that number after hearing from insiders who questioned how much the government follows talking heads, and the extent to which even those in government affect policy in what is repeatedly described as a “PMO-driven” approach. Some in the centre, the Prime Minister’s Office, don’t have a particular affinity for foreign affairs, but their impact is central nonetheless on policy, which critics say too often is formed with domestic affairs in mind. While the United States and officials working on relations with it have always enjoyed outsized importance in Canada, key players in the ongoing NAFTA renegotiation were among the most common who came up as influencers in our discussions. Through more than two-dozen interviews with insiders, policy analysts, former diplomats, and senior government officials, The Hill Times developed this list of the top 40 people influencing Canadian foreign policy. Though the formula for making the list is unscientific, actors earned their spot based on access to power, demonstrated ability to effect change, experience—or simply because they’re in a powerful job. And, because those who offered insight were often working in or closely with the government and spoke frankly, their names are not cited. Many ministers earned mention, and a few just barely missed the mark, including Marc Garneau, who chairs the cabinet committee Canada-U.S. relations and trade, and Environment Minister Catherine McKenna, a trade lawyer who’s one of this government’s more visible in cabinet. We could have easily mentioned retiring G7 sherpa Peter Boehm, who was lauded as one of the last true foreign service officers to rise through the ranks to the level of deputy minister. 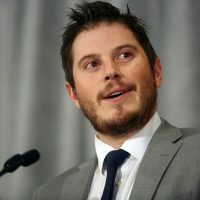 New Democrats are absent from the list, following feedback from sources who questioned whether the party should crack even the top 40, with one source suggesting the New Democrats don’t have the same influence as when former foreign affairs critic Paul Dewar or defence critic Jack Harris were in the House. 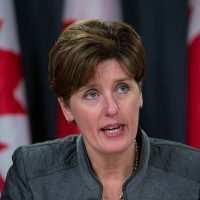 Still, a couple government officials said outgoing MP Hélène Laverdière, the NDP foreign affairs critic, deserves mention for her thoughtful, results-focused approach to issues even while criticizing the Liberals. 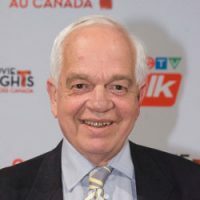 Another progressive voice, Alex Neve, who heads the English section of Amnesty International Canada, was mentioned as raising the human rights group’s profile with the Liberals compared to the ostracism it faced under the Conservatives. Mr. Neve and Ms. Laverdière have both had strong voices, applying pressure on the Trudeau Liberals’ relationship with Saudi Arabia. For this year’s list, we’re offering a clear top five (in four spots) and the rest are broken down by category. Canada’s top federal politician will always count, but this celebrity PM makes an extra splash during trips abroad. With eyes on the south, Mr. Trudeau has taken up a sort of anti-Trump persona domestically and internationally, with much of his work on bilateral relations walking that fine line of sticking up for Canada while ensuring sensitive talks on issues like NAFTA can continue. In June, Canada hosted the G7 summit in Quebec amid heightened trade rhetoric and insults Mr. Trump tossed at Mr. Trudeau on his way out of Canada. Mr. Trudeau’s tough response helped him gain in public opinion polls, but he’s not always hit the mark on foreign policy. Some of the PM’s high-profile trips over the last year, including to India and China, have been notable for producing gaffes, and showing a lack of on-the-ground research. While Mr. Trudeau lets Ms. Freeland take the lead, in a government that determines its foreign policy at the centre, he’s the centre of it all. In many eyes, Ms. Freeland could just as easily take top spot because her role is so important. As foreign affairs minister, said one former diplomat, she’s the “most effective since Lloyd Axworthy,” who literally wrote the book on Canada’s place globally and served in the cabinets of three prime ministers. Her tenure has been shaped by two blockbuster speeches—in Parliament and in Washington accepting Foreign Policymagazine’s prestigious Diplomat of the Year Award—denouncing populism and a decline in internationalism. Though she can be a bit of a lone wolf, one source observed, the former journalist hand-selected her advisers and enjoys the complete trust of the PMO. And, after the India debacle, she has a “sort of carte blanche,” in her file though she plays to the PMO. As with her counterpart Mr. Butts, Ms. Telford is “critical on every file,” whether it’s trade, defence, or visits abroad. While the two are “pretty evenly balanced,” she seems to take more interest in the government’s feminist foreign aid policy, diversity, gender equality, and human rights, insiders said. Ms. Telford runs the daily operations in the PMO, having been one of Mr. Trudeau’s top advisers since before the Liberals took government, running his leadership bid back in 2013. Mr. MacNaughton has a level of influence not experienced by anyone in his post previously. He serves in a ministerial capacity, and has a home in the inner circle. He was described by one source as having more power than any minister in cabinet other than Ms. Freeland. He has the complete trust of the PMO, particularly with Mr. Butts and Ms. Telford. The trio were key players in the Liberals’ 2015 federal campaign (Mr. MacNaughton was the Ontario co-chair) and their connection goes back to Queen’s Park a decade ago working for then-Ontario premier Dalton McGuinty. Mr. MacNaughton launched and led StrategyCorp, a government relations firm where Ms. Telford also worked. He’s adept at building connections—an essential component in Washington during delicate NAFTA negotiations—but he reaches the realm of senior adviser on other issues. 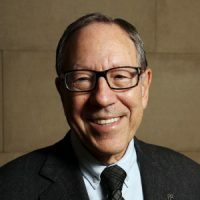 First elected in 1974 when Pierre Elliott Trudeau was prime minister, Mr. Goodale, who first held a cabinet post in 1993, has been described as having an “incredibly important and valuable” role in the Trudeau government and has been called “the adult in the room.” A former diplomat said he was the “shrewdest and most senior” within cabinet. Some rank Mr. Goodale as the third most important minister after Ms. Freeland and new Trade Minister Jim Carr. 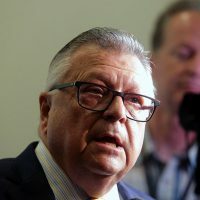 He is important in Canada’s national security and on border issues, responsible for intelligence agencies, and sits on both foreign policy-focused cabinet committees. He is in constant contact with the U.S. Department of Homeland Security. A passionate advocate with a “business-minded” approach, the immigration minister has emerged as a strong voice at cabinet, sources said. His portfolio matters too, with the Liberals promising to increase the number of newcomers to 340,000 by 2020. His background, having fled war-torn Somalia to come to Canada, also informs some of his work and support for “causes that he believed in intensely.” He’s done a lot of work in Africa, and was also praised for playing a part in the July 2018 international rescue operation of White Helmet first responders in Syria, which meant “critical coordination” between Global Affairs Canada and his department. Though just a few months into this more globally-minded post, he is said to be among the stronger in cabinet and was a key voice lobbying for “diversification” to be added to his ministerial title. That goal of drumming up more trade outside the U.S. is now the “Holy Grail” for this government, as it remains mired in NAFTA confusion. Several observers said the level of the former natural resource minister’s influence is yet to be determined above that of the institutional importance of the post, but it is likely to increase. He is the “pinnacle of a respected voice,” said one senior official, describing Mr. Carr as collegial and a bridge-builder. Ms. Bibeau, who has served in the role since the start of the 42nd Parliament, is one of the ministers on the list with less influence. She serves on the Canada in the World and Public Security cabinet committee. She has an important voice in the room due to her position, but it is not a dominant one compared to some of her cabinet colleagues. 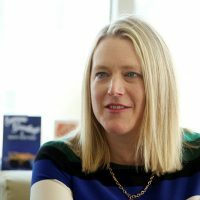 She is in charge of quarterbacking the government’s feminist foreign aid policy. While the defence minister is a position that should always be on the list, there was clear disagreement among the 20-plus sources surveyed about Mr. Sajjan’s inclusion. Some said the veteran of the Afghanistan war had to be included, while others questioned his influence, seeing him staying in the background. He has a habit of sticking his foot in his mouth, including by claiming he was the “architect” of a big combat mission in Afghanistan, when he wasn’t. The defence minister’s position typically is one of great influence with its close co-operation with Washington and NATO, especially with Canadian soldiers currently deployed in the United Nations’ peacekeeping mission in Mali. One source said, in theory, he has importance, but he doesn’t drive policy in the same way that Ms. Freeland and Mr. Carr do. Some suggested that Zita Astravas, Mr. Sajjan’s chief of staff and a former senior PMO staffer, has more influence than he does. But others pushed back on that idea. There was contentious debate over which member of the official opposition should be in the mix, if at all. Some said if a Tory MP were to be included, it should be the leader, Andrew Scheer who is set to make a bigger international splash with his eight-day trip to India next month, but others saw foreign policy as a platform gap, and not an issue he’s spent much time on. Many of the Conservative statements about foreign policy don’t come from the leader, but from Mr. O’Toole. 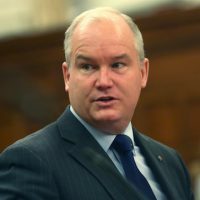 One source said Mr. O’Toole hasn’t made the international connections as Ms. Freeland did as a backbencher in a third party during the 41st Parliament. He’s the Conservatives’ loudest foreign policy voice, but the former air force captain has not been as effective as he could be. Inside the PMO’s Canada-U.S. war room, Mr. Clow monitors Canada’s relationship with the United States around the clock. Since the government is so focused on dealing with its southern neighbour, Mr. Clow has added importance. 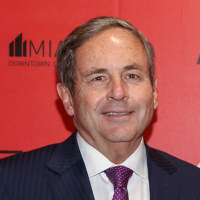 He is charged with the political strategy behind the NAFTA renegotiations, and along with Ms. Freeland, he is key to shaping the negotiations politically. He previously served as her chief of staff when she was the trade minister. Mr. Clow serves as an important link between Global Affairs and the PMO. He also monitors Canada’s “charm offensive” in the United States. Some say he has more influence than Ms. Freeland’s chief of staff Jeremy Broadhurst and PMO policy adviser Patrick Travers, but less than Mr. MacNaughton. As Ms. Freeland’s right-hand man, he’s often by her side on the many trips to the United States and abroad. He has her confidence and is part of the inner circle in the PMO, having worked as deputy chief of staff and principal secretary in the PMO before he moved to his current role in January 2017. 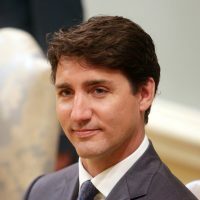 He has “outsized influence,” given that connection to Mr. Butts, Mr. Trudeau, and Ms. Telford. He brings a lot of institutional knowledge on foreign affairs to debates, one source observed. 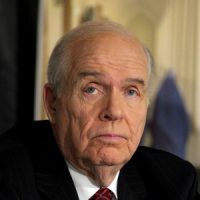 That comes from his background working under Liberal leaders Bill Graham, who served as foreign affairs and defence minister, Stéphane Dion, and Michael Ignatieff. 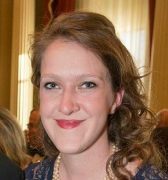 Ms. Deschamps-Laporte took on her post in January 2018 and has impressed observers with her depth of knowledge, described by one as “brilliant.” She’s a former Rhodes Scholar at the University of Oxford, a distinction she shares with her boss. Originally from Repentigny, Que., she studied international development and modern Middle Eastern studies and can speak French, English, Spanish, German, and Arabic. 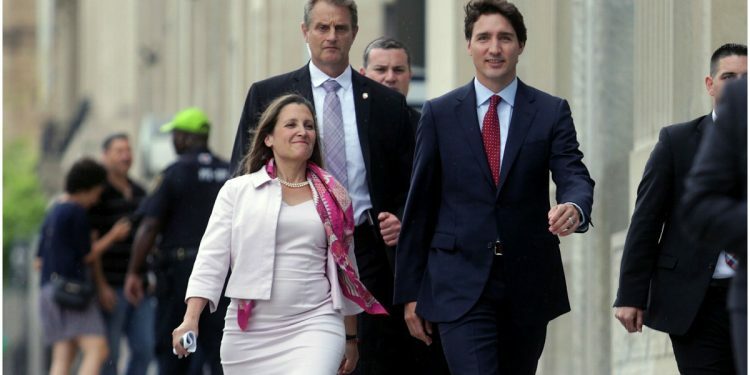 She’s helping push the feminist foreign policy approach within the office, but in the heat of NAFTA she does the hard work of keeping Ms. Freeland briefed on everything, including working at the core on security files. She’s “emerged as a really critical voice at the staff level on everything,” said one senior government official. 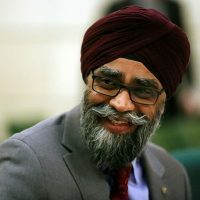 The issues-management specialist moved to Mr. Sajjan’s office from the Prime Minister’s Office in August 2017, in the midst of backlash surrounding the minister’s claim her was an “architect” of Operation Medusa in Afghanistan. Sources said she’s strong, effective, and a “crucial” staffer who enjoys the PMO’s trust, but doesn’t necessarily play into the policy side of things. A couple sources said she’s more influential than Mr. Sajjan, while others pushed back on that assessment. 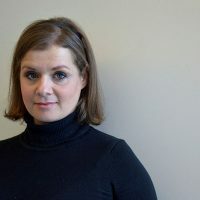 A former Queen’s Park staffer, she recently took an unpaid leave of absence to join the Ontario Liberal campaign war room, and has worked in three previous Ontario provincial elections in various tour- and communications-related roles. 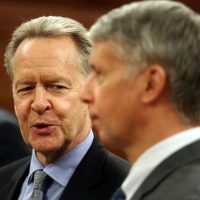 A former chief of staff to Stéphane Dion when he was foreign affairs minister, Mr. Ovens still has an influential role stickhandling Mr. Carr’s office. Mr. 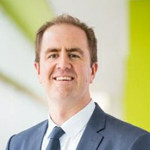 Ovens comes from the mining industry, having spent more than 10 years at BHP Billiton and Alcan (later bought by Rio Tinto), which makes him a natural fit with his new boss, who was the previous natural resources minister. 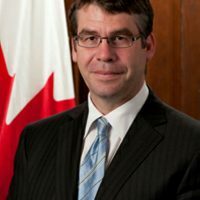 He was appointed chief of staff to Mr. Dion in 2015 and took the same role in the international trade minister’s office when François-Philippe Champagne had the post. With the “whole world on his plate,” Mr. Travers joined the PMO in January 2016 from his job as senior policy adviser at the United Nations. He’s considered a sharp guy, who’s at all the meetings with Mr. Trudeau when discussing global affairs, but many questioned the degree of his influence given that he’s not a member of the senior PMO staff. While his files touch everything, insiders say he doesn’t have a key role on NAFTA, nor is he in charge of international development, or gender issues. He’s the key contact point in the PMO on international affairs for liaising with all the ministers’ offices and is good at listening and asking what the office is missing. That said, he does offer recommendations, one source noted, on policy that makes it before the PM, and that holds weight. He was also key in co-ordinating the G7 summit in Quebec in June. 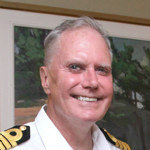 Mr. Hannaford was the first civil servant who briefed Mr. Trudeau on election night, and sources say that close connection has continued throughout the Liberal mandate. He’s considered the “focal” person at the apex of the civil service, above even the Privy Council clerk, and crucial for his advice on all things foreign policy. Even more important, he’s trusted by and “enjoys the full confidence” of the those in the Prime Minister’s Office. He’s a constant on key trips, travelling with the prime minister. 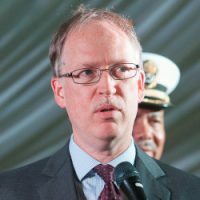 He’s a very capable, highly regarded officer who has a legal background, working in both the human rights and trade divisions of the foreign ministry. He also held a high-profile, trusted position under the Conservative government after returning from his post in 2012 as ambassador to Norway. Canada’s chief NAFTA negotiator has had a busy summer as he tries to reach a renegotiated NAFTA with the United States and Mexico. 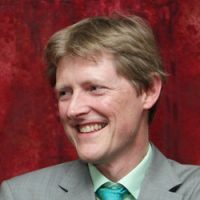 Mr. Verheul was the chief negotiator on the CETA trade pact with the European Union, where he developed close ties with then-trade minister Ms. Freeland. He has been called the “best of the best” under tough circumstances. 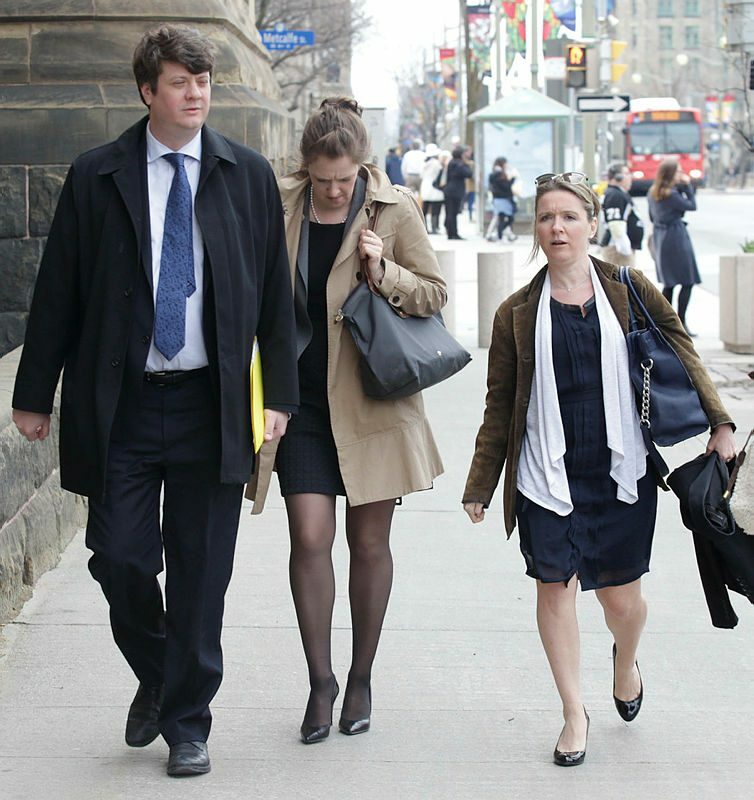 He has more influence than his boss, Timothy Sargent, just behind Ms. Freeland and Mr. MacNaughton. Mr. Verheul, described as a calm voice who uses logic and comes up with solutions in a highly charged and unpredictable atmosphere, is behind the policy and substance of NAFTA. One source called him “one of the most important minds and operators” behind trade policy of his generation. 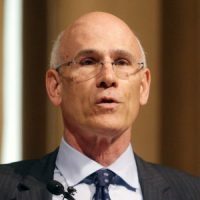 Canada’s highest public servant is a post that will always hold weight on foreign affairs, but insiders say Mr. Wernick is a good delegator who knows what’s going on but trusts other officials to take the lead. He doesn’t micromanage, and chooses his moments to offer insight from his vantage point of institutional importance, but lets Mr. Hannaford remain the focal point for the PMO. Nevertheless, he’s a very influential person who’s been in the role since almost the start of the Liberal government’s mandate. The 37-year public servant was deputy clerk of the Privy Council and associate secretary to cabinet in the Conservative government’s final years. 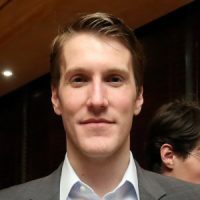 While Mr. Verheul has been described as more influential, his boss Mr. Sargent is considered “brilliant” and “creative.” He is an adviser on all things relating to trade, who is confident enough to let his own people and trade advisers offer substantial input. 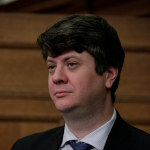 Mr. Sargent is relatively new to the trade file, starting the job in October 2016, after being an associate deputy minister at Finance Canada, and Agriculture and Agri-Food Canada. He has a history of leveraging expertise while inputting his own judgment in his dealings with ministers. Mr. Sargent is less of a player at the prime ministerial table than others. 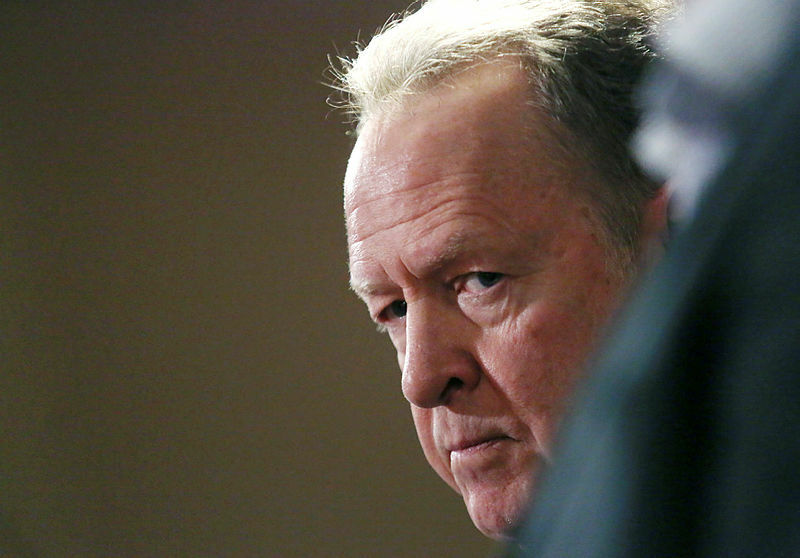 His importance is tied to his post as someone Ms. Freeland relies upon. Like Mr. Sargent, he is very involved, though not one to elbow his way into things. 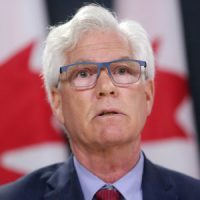 He doesn’t come from a foreign affairs background, having moved to Global Affairs Canada in May 2016 after serving as deputy minister for Employment and Social Development Canada as well as Environment. But that breadth of understanding is a benefit, one source said, because he can consider domestic aspects and “the impact of foreign policy beyond the bubble of the Pearson Building.” This government has given more voice to the civil service, making Mr. Shugart’s post more powerful than in the past. With so many working and focused on the U.S. frontlines, Mr. Shugart’s eye is on the rest of the world and people listen to him when he speaks. A cautious bureaucrat, Ms. Bossenmaier has a powerful role and is seen as a deliberate choice. 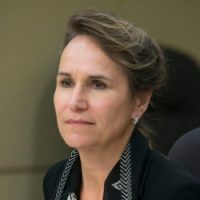 Before her appointment in May, she earned that trust overseeing Canada’s cyberspy agency, Communications Security Establishment. She doesn’t have the same influence as her predecessor, Daniel Jean, who retired earlier this year after controversy surrounding the PM’s India trip, but most sources say it’s too early to have much of a read on her and the post will always matter. She’s a “very competent administrator,” seen to offer knowledge and insight, but it remains to be seen whether she emerges as an assertive voice that has policy influence. 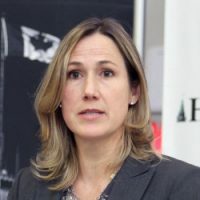 She has a deep background in foreign affairs, having worked in senior roles at the Canada Border Services Agency and in the Privy Council Office’s onetime Afghanistan Task Force. The chief of defence staff of the Canadian Armed Forces always plays an important role in the execution of Canada’s defence policy. 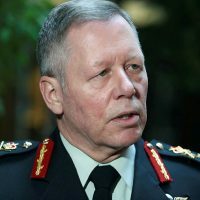 Mr. Vance, the commander of Canada’s Afghanistan mission in 2009 and 2010, has been the chief since 2015. He has been described as a “good soldier,” but not seen to have a huge impact shaping policy. On the other hand, one source said inside the Department of National Defence, he and Jody Thomas—DND’s deputy minister—have a significant impact on how defence policy is formulated. On the topic of generals, multiple sources say retired general and now Liberal MP Andrew Leslie, who is the parliamentary secretary for Canada-U.S. relations, has little influence over policy, but is a good communicator and promoter of the government’s policy. 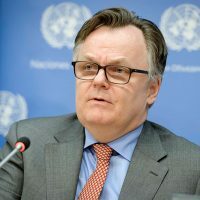 Based in New York where all the world’s top diplomats reside, Mr. Blanchard wields a key position lobbying for Canada’s bid to win a non-permanent United Nations Security Council. His impact is beyond that work, drawing mention for his efforts on the government’s feminist international assistance policy and Canada’s work to stop the persecution of Rohingya Muslims in Myanmar. He’s at the top tier among political appointees, behind only Mr. MacNaughton in prominence. The lawyer is known as one who develops personal relationships and can bring people together. His relationship with U.S. Ambassador to the UN Nikki Haley has proven to be important. This former six-term MP was named to this job in January 2017. He’s got extra weight because of his political profile, having been a Liberal minister for national defence, veterans affairs, national revenue, and immigration during 16 years in Parliament. He’s well-liked in China and is seen as sympathetic to the Beijing leadership. Some observers questioned whether he missed warning signs during Mr. Trudeau’s December 2017 trip to China, when Canada didn’t advance past exploratory trade talks, but a government source said that result doesn’t diminish the calibre of advice. 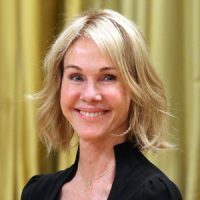 Kirsten Hillman, deputy ambassador to the U.S. 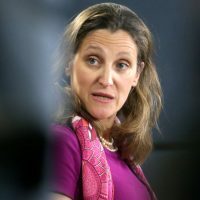 When Ms. Freeland was deciding who to lead the NAFTA renegotiations, she had to make a choice between Mr. Verheul and Kirsten Hillman. Instead, Ms. Hillman was tapped for the high-profile deputy ambassador to the U.S. post, where she’s frequently called upon for her depth of trade knowledge. Ms. Hillman was Canada’s chief negotiator in the Trans-Pacific Partnership trade talks. 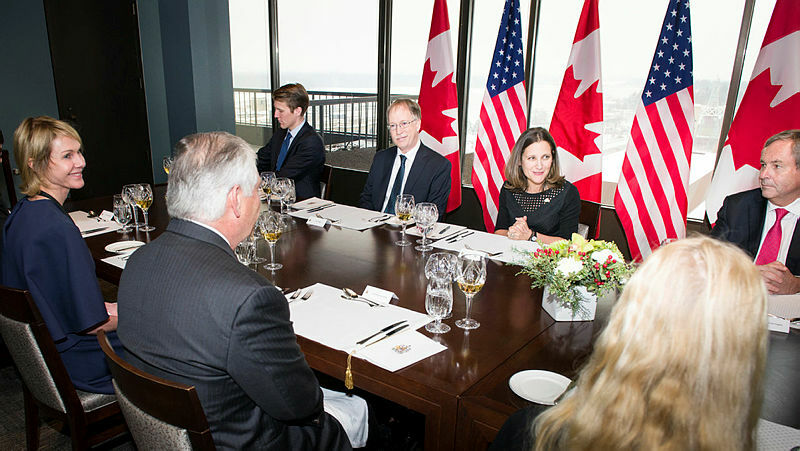 She forms a good partnership with Mr. MacNaughton, with whom she works often on many trade files; together they serve as an important connector for Canada in Washington. While Mr. MacNaughton focuses on the political, she brings her deep knowledge of the technical side of trade. One source called her the “smartest diplomat” Canada has. The former Progressive Conservative prime minister has helped the government work a strategy on the United States. Described as a “Trump whisperer,” he’s known for his friendship with longtime neighbour Mr. Trump, in Palm Beach, Fla. Both publicly and privately, people listen to what he says and he’s among those who are on the regular call list for all things NAFTA. At the outset, the government engaged him in its charm offensive. But that influence isn’t the same as in the beginning, described as “way down” by one former diplomat, who said that Mr. Mulroney’s advice to flatter the mercurial president “was harmful” and didn’t get Canada ahead. The former Liberal justice minister is held in high esteem and is consulted on human rights matters. His efforts were especially evident in pushing the government to pass Bill S-226, the Sergei Magnitsky Act, which sailed through the House of Commons unanimously in October 2017. He’s someone who has an audience and is held in high regard (one source called him a “national treasure”) as a 16-year MP. He and Bob Rae represent an important historical voice in the Liberal Party that speaks to human rights, which the government listens to. Former Liberal cabinet ministers Lloyd Axworthy and Allan Rock have also earned mention as “heavyweights,” but mostly for their work on refugee issues with the government. 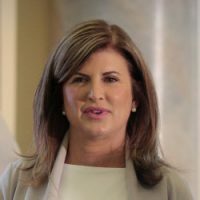 Though she didn’t play on the same team as the Liberals while in Parliament, Ms. Ambrose is a member of the government’s NAFTA advisory council along with fellow former Tory minister James Moore, who was also frequently mentioned as an influential and co-operative Conservative, but she eked out a slight advantage. One source called her “very influential” on NAFTA. She appears to have more influence than her former boss, ex-prime minister Stephen Harper. Some observers suggested if he had any influence it was through the media, as he does not have a close relationship with Mr. Trudeau, like fellow ex-PM Brian Mulroney does. Whether to put Mr. Trump’s envoy to Canada on this list led to some heated debate, in some cases provoking laughter at the idea. Several sources said it’d be the first time they would advocate to keep the U.S. ambassador off the list—her critics say the U.S. now has reduced presence in Ottawa. But, observers have a tendency to underrate her importance, a well-placed source suggested. She’s “incredibly well plugged-in,” is present at key meetings, and has offered high-ranking introductions and access to officials. She facilitated Mr. Garneau’s Kentucky Derby visit with Senate Majority Leader Mitch McConnell, and the first meeting between Ms. Freeland and U.S. Secretary of State Mike Pompeo. She’s also formed a tight relationship with her Canadian counterpart, Mr. MacNaughton. Chair of the finance minister’s Advisory Council on Economic Growth, Mr. Barton’s voice continues to be sought out by government officials. 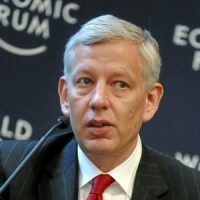 He’s extremely trusted and held in “high esteem.” He’s a respected business leader known for heading one of the world’s premier managing consulting firm, McKinsey & Company, and as of Oct. 1 is taking over as chairman of mining giant Teck Resources. He “knows China inside out,” and has helped tip opinion on some key economic Asia files, said one insider. Despite having left his primo post to return to academia six months after the Liberals swept into power, two years later his name still holds weight. 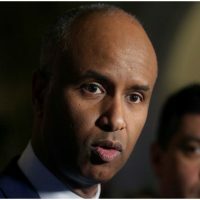 Among academics, his is “the name du jour,” said a former diplomat, an insight in line with the following observation: “When people think Canadian foreign policy, people think Roland Paris,” said one. He’s an internationally respected scholar and his fingerprints are “all over” Mr. Trudeau’s founding foreign policy platform. When Mr. Trump was elected, sources said Ms. Telford called Mr. Paris to form a group advising the government on what to do. With his large platform, he’s considered one of the government’s biggest boosters, while some suggested he can serve as an outlet offering tougher talk (like calling the president a “man-child”) without the political cost. 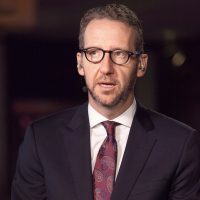 On background, sources said it’s not clear why he left the PMO, speculating that Mr. Butts and his team were going in a different direction, more focused on the domestic impact of internationalism. Even so, most sources had the impression that Mr. Paris “still has an inside track” and remains engaged with and can earn attention of top officials. When Justin Trudeau went to Washington in his first visit to Donald Trump’s White House, Linda Hasenfratz was at his side. 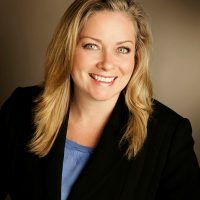 Ms. Hasenfratz is the co-chair of the Canada-United States Council for Advancement of Women Entrepreneurs and Business Leaders, which was formed out of that first meeting to Washington, and is a project spearheaded by Ivanka Trump, Mr. Trump’s daughter and adviser. Linamar is Canada’s second-largest auto parts manufacturing company and is a multi-billion-dollar business. Ms. Hasenfratz sits on the government’s NAFTA advisory council too. She has been described as the government’s “go-to” person on the business side of things. Derek Burney, former ambassador to the U.S.
As ambassador to Washington during the original NAFTA talks, Mr. Burney is called upon by reporters and the PMO Canada-U.S. war room alike for insight. 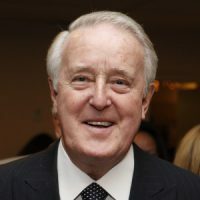 His name is often mentioned alongside former Progressive Conservative prime minister Brian Mulroney, whom he served as chief of staff during the original Canada-U.S. Free Trade Agreement negotiations. 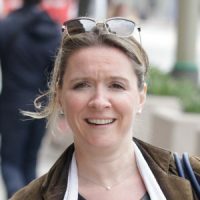 Now a senior strategic adviser at Norton Rose Fulbright, the experienced negotiator is someone the U.S. team in Canada has regular talks with. Labour groups have taken on increased influence under the Liberal government. 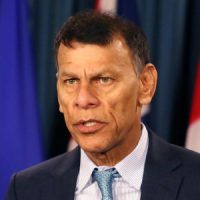 Government officials speak with Mr. Yussuff frequently, including Ms. Freeland, and he was “instrumental” in helping the government on CETA, and getting support from progressive elements. His union represents 3.3 million workers. While Mr. Yussuff’s voice is not as apparent in the public eye, compared to Unifor’s Jerry Dias, he has a post on the government’s NAFTA advisory council—a distinction some sources took care to note. Still, Mr. Dias represents Canada’s largest union in the private sector. Dogged in his work on NAFTA, Mr. Dias often speaks of his direct line to Ms. Freeland and her chief negotiator Mr. Verheul. He’s a loud advocate, “incredibly plugged-in, and a constant “whether you want to deal with him or not,” one official said jokingly. 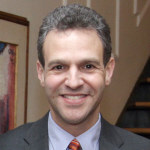 This former national security analyst with the government has become increasingly prominent on social media and is often quoted in news reports and featured on TV panel discussions. She offers a substantive perspective that senior government officials said they listen to in part because she’s “an influence-shaping voice” that has reach. 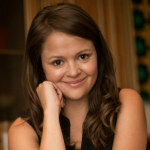 She focuses on domestic and international security, international law, terrorism and technology and has a PhD from the London School of Economics. And, having been in government, she provides a good critical perspective on how it regulates and manages the intelligence sphere, making her among academics who matter. Though no observers suggested she’s got much of a say on policy, her importance is tied to her position as a member of the inner circle—and as one who’s playing a more a prominent role as Canada’s “First Lady” than past prime ministers’ partners. Several suggested that influence played out poorly during the India trip debacle, given the Trudeau family’s over-the-top dress. The same sources were just as quick to blame Mr. Trudeau and his office’s poor taste, but said her part in that decision shouldn’t be discounted. 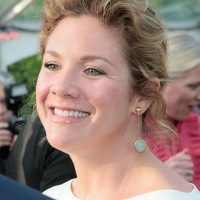 An advocate for women and girls, Ms. Grégoire Trudeau is also involved with a number of charities, including being a national ambassador for Plan Canada’s “Because I Am A Girl” initiative.